Parents' Day, May 8, has been a day to pay tribute to the hard work and sacrifice of the millions of devoted parents who provide guidance, support and unconditional love to their children. 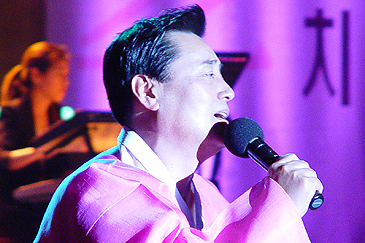 For this special day, Sofitel Ambassador Seoul presents a dinner-show hosted by Kim Sung-hwan, a long-time dinner-show host and one of the true all-round entertainers favored by most parents. With over 50 years of history, Sofitel Ambassador Seoul has shared lots of memories with the parent generation and this year, another memory will be added with this special dinner-show with 5-course western menu all provided by the main chef, Mr. Philipp Zurbuchen. The host of dinner-show, Kim Sung-hwan has been known as THE MASTER OF DINNER- SHOW with his excellent acting and singing career, ability to dominate the stage and great sense of humor making him a total package as a dinner-show host. The theater-style show will feature a variety of Korean-style performances including a medley of trot songs, a display of traditional Korean dances, pansori and more with special guest celebrities such as Hyun Sook, Han Hye-jin, Kim Young-chul and You Dong-geun. A number of prizes will be drawn at the end of the show such as golf bags, free lodging and dining coupons. Reserve your tickets now for your parents and deliver your deep gratitude on the Parents' Day.